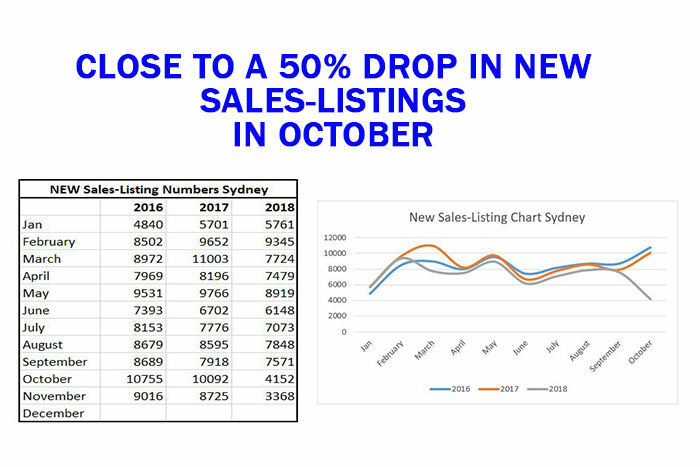 October was somewhat subdued, when we looked into the NEW Sales-Listings (see image below). To explain the reason, we came up with a couple of scenarios, as we try and get to the bottom of what appeared as an anomaly. On the flip-side, numbers mid-November, are already climbing close to October’s NEW sales-listings total. Prior and at the beginning of October, the mainstream media, began opposing the many so called: property doomsayer’s predictions of the downturn and some property owners may have fallen for it. 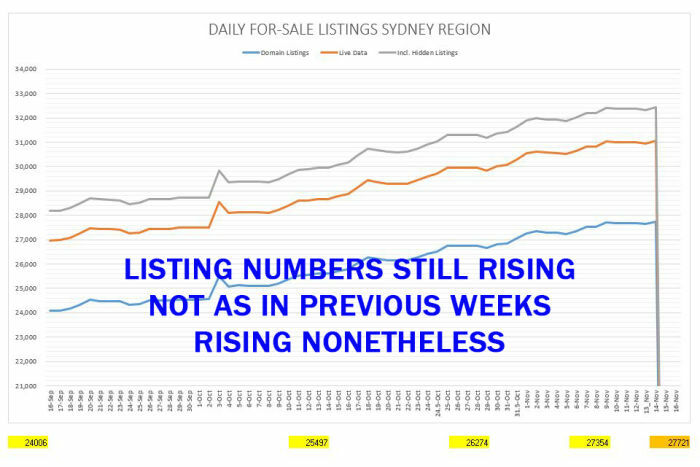 Many in the MSM and Analyst were trying to counter the sudden surge in listing numbers, and property price-drops, with the rhetoric - it was part of the cycle. Nothing to worry about, the sky is not falling. Few even went as far to continue applauding, Auction Clearance Rates and calling 'bright & sunny' skies ahead. Furthermore, the mainstream continued with the narrative – things will rebound and improve in 2019. A client, who was ready to place two apartments, on the market in Sydney, went to a property seminar in early October. Afterward, he called me and told me he had a change of heart. He was convinced by the presenters, 2019 was a turning point. Three weeks ago, he received a notice from his bank and in short - these were orders to sort out his loan position. The bank had conducted an audit on various customers, and according to his bank, he was close to negative equity. Now he has to top up the loan or a forced sale may take place. The sky is definitely not falling. However, many mortgages are spiraling down, into negative equity. Per chance, we also now have Leading Economists like Shane Oliver, adjusting his bottom line falls from -15% to -20% and possibly with the notion of further falls. Nonetheless, we also understand, panic comes in waves and emotions are unpredictable. We also note, spruikers are out there, feeding on the vulnerable and on your emotions to line their pockets and selfish interests. In continuation from the above, we know many sellers are also owner-occupiers. Owner-occupiers are more concerned about reducing prices and not achieving reserves on the day. We therefore conclude, owner-occupiers have left the market in droves and may also be waiting and hoping, for the 2019 rebound. Investors managing Interest Only Loans (IOL), on the other hand, don’t have the same luxury of protecting one asset. Many have multiple mortgages and they continue to hurt. Unable to refinance out of IOL nor afford new repayment structures. In the same category, we have also come across owner-occupiers that have bought as recent as 1 to 4 years. These property owners, now face the reality which many dread – negative equity. Even if they sold, they loose their deposits and have outstanding bills. We are nonetheless coming across and in both scenarios above, people in positions of: need to, have to and are forced to sell. The numbers overall, keep climbing (see graph below). Our position stands, if you think you may have to or need to sell - you are better off getting on the market sooner than later. We don't believe, listing numbers will decrease over the coming months. 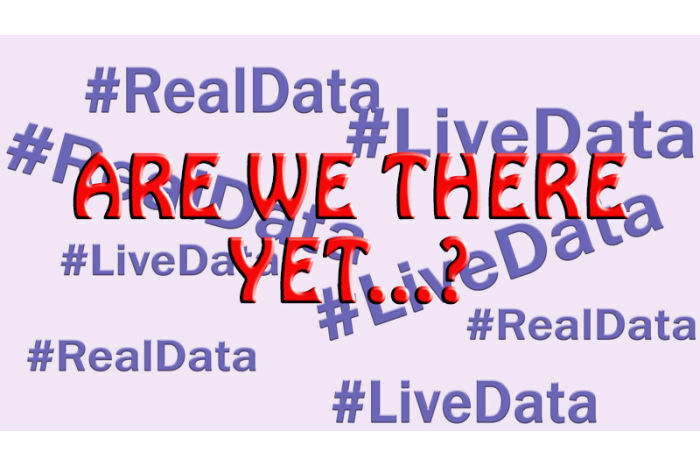 Our theories, our speculations are an interpretation of the data and numbers we collect. If you would like a more detailed overview, of what is happening in your area; always reach out to your local real estate agents. I say agents, not just one. Obtain a broad overview. As always, feel welcomed to send me an email and particularly if you are in Sydney. We can assist you across various property related areas. We also cover multiple suburbs.